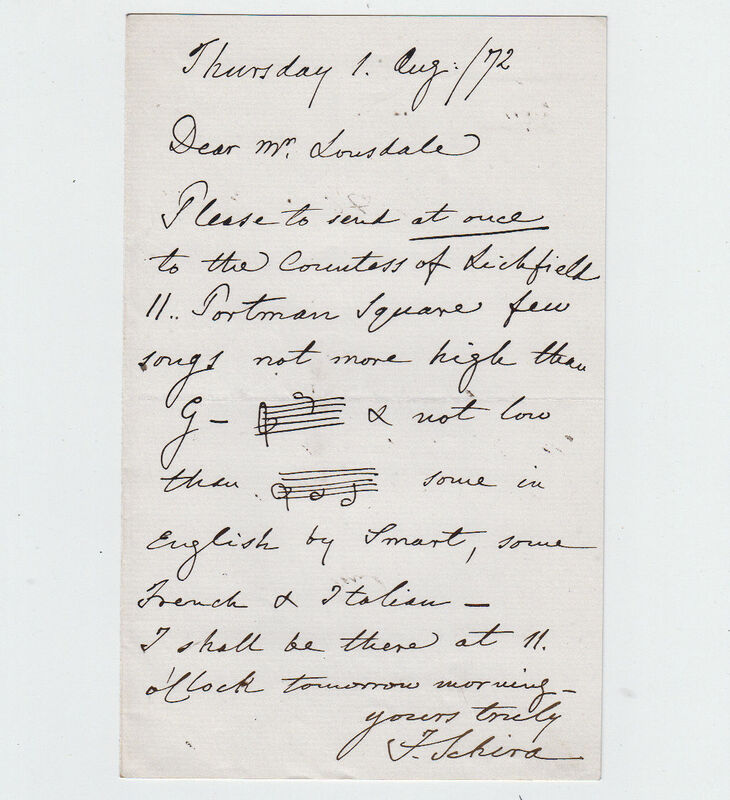 Autograph Letter Signed, asking Mr. Lonsdale to send a few songs to the Countess of Lichfield, indicating the vocal range. 1 page 7 x 4 inches, fine. 1 August 1872. Francesco Schira (1809-1883), composer, born in Malta. His operas included Elena e malvina, Kenilworth, The Orphan of Geneva.